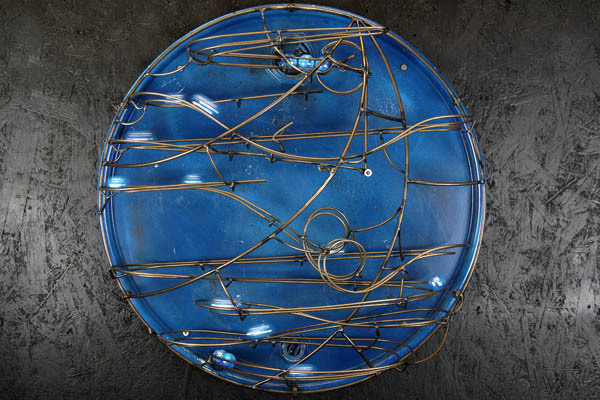 A semi-automated single track wall mounted sculpture with barrel lid background. The sculpture measures 600mm in diameter and approximately 200mm deep and is powder coated in a clear finish. The sculpture includes a big dipper and loops and uses 25mm glass marbles.